Pedernal Mountain is found in many Georgia O'Keefe paintings. 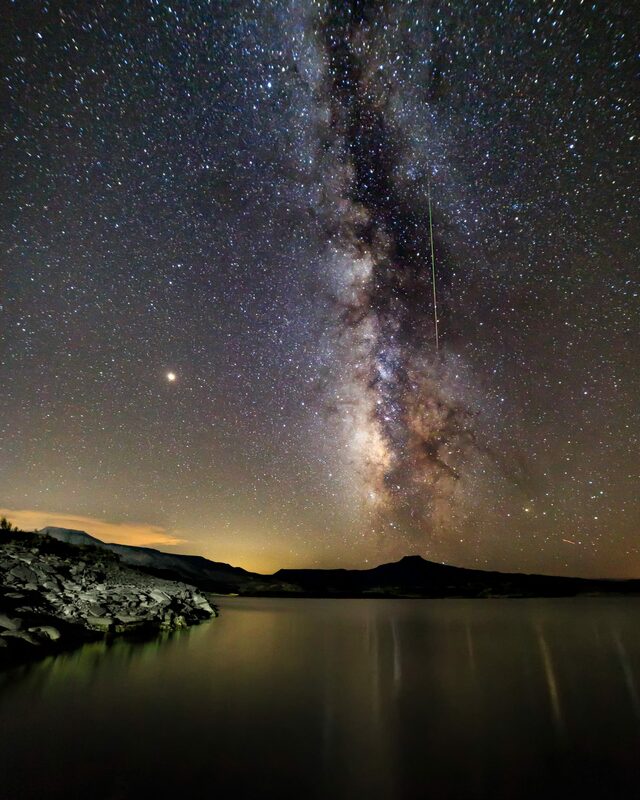 The lake provided me the perfect composition for the Milky Way and the mountain. The banks of the lake framed the photo nicely. Added bonus was a Perseids meteor shower was present that evening.